The annual trip to collect wild garlic has become something I really look forward to. I collect a big carrier bag full and prepare several dishes that I can freeze to enjoy over the year. Once picked wild garlic doesn't last more than a few days but if you persevere it well you can enjoy it for the rest of the year. These fresh garlic butter sticks freeze really well and keep in the freezer for up to a year, they are wonderful melted into a jacket potato or over grilled mushrooms. Pork mince and wild garlic dumplings lightly fried and dipped in a soy and ginger dipping sauce are a wonderful treat. Making the dumplings takes a little time but they freeze really well, so line up your favourite YouTubers playlist and settle in for a session making a big batch. Fresh spring like garlic fragrance straight from the freezer. These frozen garlic cubes liven up stews, soups and pasta dishes and mean no chopping or pressing garlic cloves. 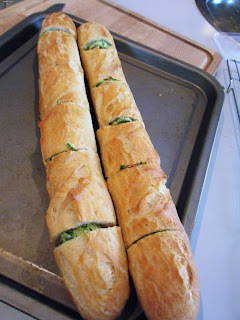 I also made a video with some of my favourite wild garlic recipes. How do you preserve your wild garlic?